Controversial Brooklyn developer Joe Sitt and his company Thor Equities continue snapping up property in Coney Island. Today, the New York Post is reporting that the company is going to buy a well-known local Italian restaurant, Gargiulo's. The site will be used for luxury housing. 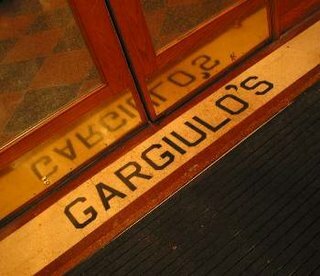 Gargiulo's has been open since 1903 and might be moved to the new boardwalk project if and when it is built. Thor is planning a $1.5 billion Coney redevelopement and last month bought Astroland. Its plans for Coney include highrise luxury housing, some of it on the boardwalk. UPDATE: A source tells us the original story was wrong. Gargiulo's apparently hasn't been sold and, in fact, was never up for sale. There will, no doubt, be more information tomorrow on whether Thor will dine Italian or not.